Asphalt shingle roofs are a sight to behold when they’re clean, but are unattractive when they have a variety of organisms growing on them. These organisms—algae, moss, mold or mildew—can all grow on your roofing shingles when certain conditions, such as moisture, are present. These organisms feed on the organic material used to make your roofing shingles, eventually causing them to rot. This makes more way for problems if left unchecked. 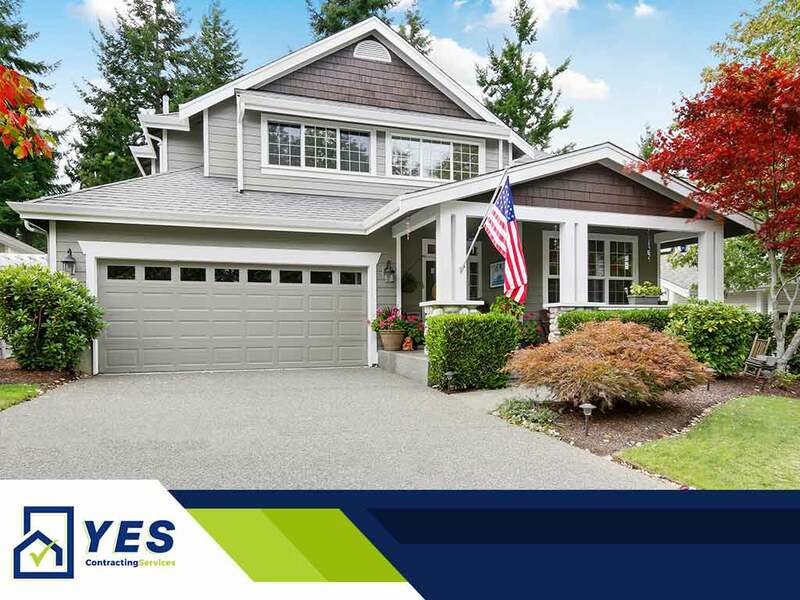 YES Contracting Services, one of the trusted local roof repair contractors in the area, looks at each organism and discusses how to get rid of them when they appear. If your roof has black-green spots and stripes, chances are it has algae growing on it. Algae thrives on dust, pollen and the organic material in your shingles. They will destroy your roof over time. See some green clumps growing on your roof? It’s most likely moss. This growth keeps your shingles moist, which in turn erodes it over time. This moisture also causes wood to rot, allowing mold to grow on them. Unlike the first two organisms, mold or mildew is dangerous to your health, especially when it grows on commercial roofing systems it may affect more people. Continued exposure to this unsightly and rancid growth might cause a variety of health problems such as nasal stuffiness, coughing, or even skin irritation. Mold becomes even more dangerous when it enters your home, especially when it manages to reach your HVAC system. Now that you know what those things on your roof are, here are a few ways to get rid of them. In the mood for some DIY? Prepare a 50/50 mix of bleach and water, and apply this on your roof using a plastic pump-action sprayer or mop. Don’t forget to rinse it off as bleach can also affect your roof. Alternatively, you can also use solutions approved by the Asphalt Roofing Manufacturers Association, or those approved by shingle manufacturers such as GAF or Owens Corning. Don’t use a pressure washer when applying solutions. The pressure washer will damage your shingles. Clear your gutters. This will ensure proper drainage as you apply your cleaning solution to your roof. This will also prevent water from pooling, thus preventing re-growth in the future. Better yet, contact a roof repair expert like YES Contracting Services to help you find solutions as these kinds of roofing problems are best left to the professionals. YES Contracting Services is a local contractor serving homeowners in Johnson City, TN, and nearby areas. Give us a call at (423) 702-4000 and we’ll schedule a meeting with you for a free no-obligation quote. We also offer gutter installation and repair services.